The winners and the only silverware we have this year at Witton. Thanks to everybody who came along and either played in or supported the game. Was a pretty exciting match in the end?! I'm glad we managed to win to at least put a bit of positivity on a dour weekend. Important to remember that regardless of what division we end up in next season, we've got some great people in and around our club, who can make days like yesterday happen. Its also a huge testament to the club that the likes of Nigel, Pritch, Mike and Jamie Harrison are so desperate to come back and play in these games. 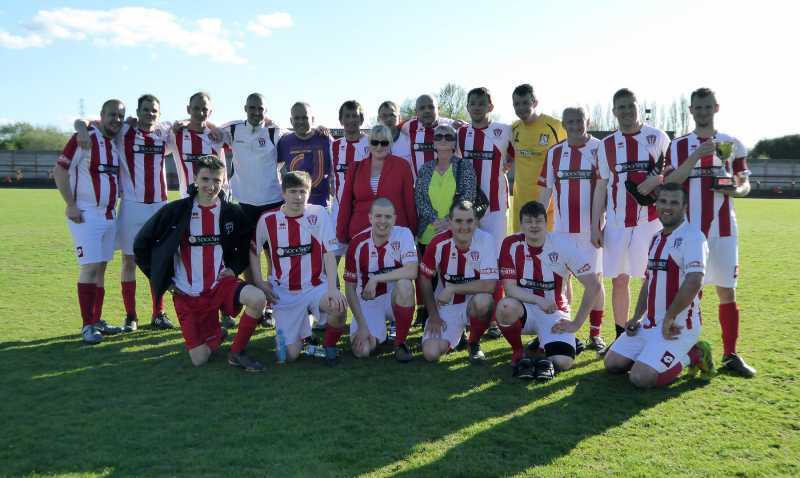 Its a mark of how much they think of Witton Albion, and also of Tony, but its also a mark of how this club has been able to attract and retain some special individuals over the years. Please don't under-estimate how much playing in the Witton shirt on the WIncham Park pitch means to everybody who takes part in this fixture every year, and its such an honour to be involved and to play infront of a good crowd like yesterday. To also raise £300 for a great cause just makes the day even better. We've been playing this fixture for 7 years now, and hopefully it will keep on going from strength to strength. Well done to all concerned on keeping this fixture going, it does bring lapsed, left and families of Wittoners to the club on an annual basis. It also raised a goodly amount for charity and keeps alive the memory of some fantastic Wittoners unfortunately no longer with us. Oh and the cups back home! Last edit: by Andy Chad. Well, is there a match this year Alb citizens ?? Surely it can't disappear after just two matches . Play "walking football" and you can count me in! !